One of GreenSportsBlog’s primary goals for 2016 is to find and tell the stories of high profile Eco-Athletes. 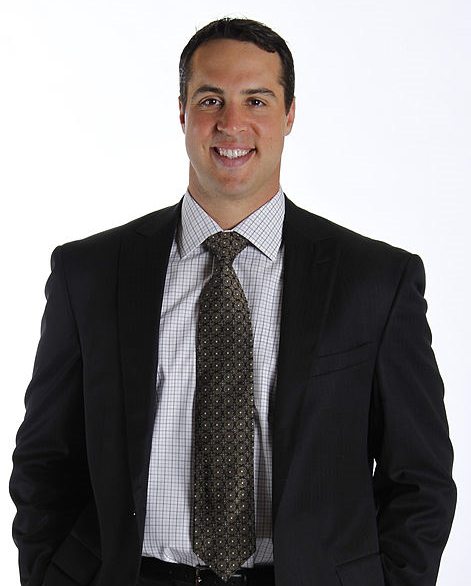 New York Yankees 1st baseman Mark Teixeira certainly qualifies. Approaching 400 career home runs, playing a starring role for the 2009 World Champion New York Yankees and the subject of an iconic home run call (“He just sent a Tex-Message!”) by Yankees announcer John Sterling certainly earns Teixeira high profile status. His work as a Board Member and founding investor for the Emerald Corridor Foundation, an Atlanta-based non-profit dedicated to restoring greenspace and waterways in blighted urban areas qualifies him as an innovative, important Eco-Athlete. Teixeira recently discussed his work with, and vision for the Emerald Corridor project with GreenSportsBlog. GreenSportsBlog: How did you come to be involved with an environmental non-profit? 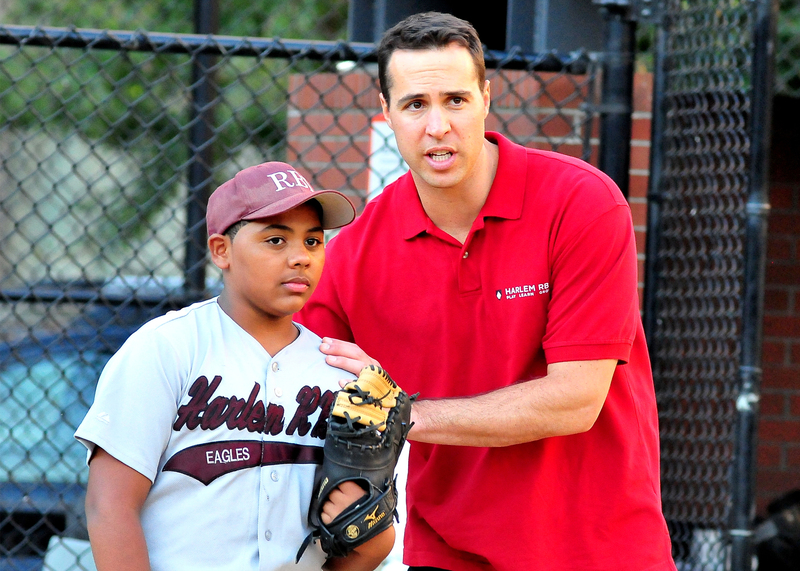 Mark Teixeira: Since I was a kid in the Baltimore suburbs, I loved being outdoors. Like any sports-minded kid, I played all day long…Not only baseball but soccer, basketball, tennis…I also got to experience nature at a young age, through fishing and, then as an adult, hunting. I was able to visit the 1,300 acre farm my wife’s mom lived on. It sounds cliché but I’ve always appreciated God’s Green Earth. And I know that we have to protect it, especially for kids who don’t have access to it. GSB: Is that why you’ve been involved with Harlem RBI (Reviving Baseball in Inner Cities) since you’ve been with the Yankees? MT: Absolutely! Harlem RBI is a phenomenal program that I’m proud to be a part of. It can positively impact kids’ lives from the moment they wake up and until they go to sleep. Not only do we get the kids to play baseball, out in the fresh air, we run a charter school that gives them a chance at a better education, a healthier life. GSB: Being a New Yorker, I’ve always thought that the Yankees, who play in a glittering palace in one of the poorest Congressional Districts in the US, with the highest asthma rate, have a particular responsibility to help kids in the Bronx and northern Manhattan (Harlem, Washington Heights) to eat healthier food, get to play in good conditions. It’s terrific that you’re helping to make that happen with Harlem RBI. Let’s turn to the Emerald Corridor Foundation. What is it and how did you get involved? MT: Exactly. It basically makes up a big part of Northwest Atlanta and is impoverished, with all of the signs of urban blight…High crime, high unemployment, low hope. But, it happens that this area sits on what once was spectacular green space, with stunning natural beauty—streams, woodlands. So my investors and I decided to, as we call it, “Lead with Green”—to make this a beautiful, natural and healthy place that people want to visit and live in instead of one that people want to avoid. GSB: …This would be impossible to accomplish in, say, the Bronx. MT: True—in Atlanta, we have the space…and it’s space that’s close to the city center. The area we’re talking about in Northwest Atlanta is only 2.5 miles from where I went to school at Georgia Tech and about the same distance from downtown. GSB: That’s the key—and the difference between urban renewal in a sprawling, newer city and a densely populated, older one. Talk to us about the Emerald Corridor project specifics. MT: Well, #1 is we need to make the area clean and safe. This will make current residents feel better and draw new ones to the area. 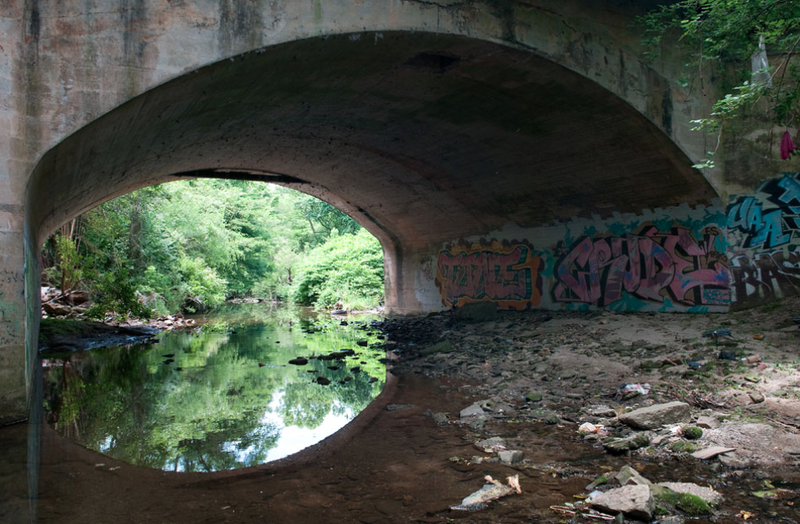 So to do that, the Emerald Corridor Foundation is taking on three main projects: CLEANUP of a 7-mile stretch of Proctor Creek, building new PARKS and establishing new TRAILS. MT: This will take the longest of the 3 as it is the most complex. There are multiple land owners, the Army Corps of Engineers will work to improve water quality and overall aesthetics and to restore the creek’s natural systems. This will, among other things, improve the status quo that includes flooding and pollution in close-in neighborhoods, the result of largely unchecked industrial activity, dumping, and insufficient storm water capacity. This project will start in 2017. GSB: What about the parks and trails? MT: Both are crucial to bringing people back to Northwest Atlanta, as visitors or new residents. Proctor Park will largely be complete by end of 2017. The 1st two miles of hiking and biking trails will start construction next year. GSB: How will Emerald Corridor be connected to the rest of Atlanta? Is easy access to mass transit part of the plans? MT: Mass transit is integral to the plan. Proctor Creek, Proctor Park and the new education center will all be close to a MARTA station. This is going to be a walking, cycling, playing green urban neighborhood, and also one from which you can commute to downtown without having to drive. We’re not only restoring nature, we’ll be taking vacant land in the area and turning it into affordable housing in what we are convinced will become a model for other projects in other cities. And this will be a jobs driver—the infrastructure projects will result in a more sustainable community and business climate. Invest Atlanta says we could be talking 15,000 jobs or more. GSB: Holy Cow! This really is an incredible vision that you and your team are now starting to turn into reality. How did such a big project actually come to pass, especially if you started in 2008, at the heart of the financial crisis? GSB: But then, in 2009, you came to the Bronx and helped the Yanks win their 27th World Series in their first year in the new Yankee Stadium (THANK YOU! )–How did you keep track of the project from New York? MT: …My dad, who knows infrastructure from his time in the US Navy and at Northrop Grumman, helps to manage it. And, I’ll tell you, it’s been a very long process from concept stage—with meetings with the City of Atlanta, the Trust for Public Lands and many others. We started in 2008 but only became an established 501-C3 non-profit in late 2014. And now, finally, we’re at the point of moving forward. GSB: That is one, long at bat. I think GreenSportsBlog will have to make a trip to Atlanta in 2017 to check out progress on the Emerald Corridor. Before I let you go, I’d like to quickly change the subject to Eco-Athletes: Identifying more Eco-Athletes is a key mission for GreenSportsBlog in 2016—so I’m beyond glad that I found you! Overall, though, there are relatively few that I’m aware of. Why do you think that is and do you think this will change? MT: I know that athletes have been slow to get into the environment and climate change. Part of that is because you only have time for 1-2 causes max—and things like fighting cancer, domestic violence, or supporting inner city education are more established and perhaps simpler. But the environment will catch on with athletes—it’s in its infancy. It’s like with technology—I’m an early adapter but more and more Eco-Athletes will follow—and soon. I do know that, since I hope to have 3-4 more years left of my playing career, I plan to be an Eco-Athlete and an Eco-EX-Athlete for years to come. GSB: The Green-Sports movement and Atlanta will be all the better for that. In the meantime, it would be great if you could help the 2016 Yankees get that 28th World Championship. Here’s to a great, healthy season in the Bronx and to much success with the Emerald Corridor Foundation. an inspiring interview – thank you. Wishing GSB and MT more success in getting the Green Movement Initiative into the consciousness of Society. Thank you Asha for the comment. Thanks in this case go to Mark Teixeira for his groundbreaking work in Atlanta. Know that GreenSportsBlog will be seeking out more Eco-Athletes so we can highlight their stories. By doing so, hopefully we’ll inspire more Athletes to go Eco and more Athletes who are already Eco to go public. This is a great project MT! I do hope that it inspires the rest of Atlanta to follow suit! I have never been there but hope to visit someday. This is the reason I have followed MT since he played with TX, GA, CA, and now NYY! I hope that GSB is able to have many more athlete interviews in the near future and are as inspiring as MT. Good luck!